How can you tell if your cat has ear mites and how do you treat (and even prevent!) ear mites on cats? We’ve covered everything you need to know about ear mites on cats here. Ear mites are tiny, crab-like parasites that invade the outer ears and ear canals of cats. There are many different types, but the most common is otodectes cynotis, which is found in approximately 90 percent of all feline ear mite infestations. So, what are the signs of ear mites on cats and how do you go about treating ear mites on cats? How can I tell if my cat has ear mites? How do you handle ear mites on cats? Photography ©MarynaVoronova | iStock / Getty Images Plus. 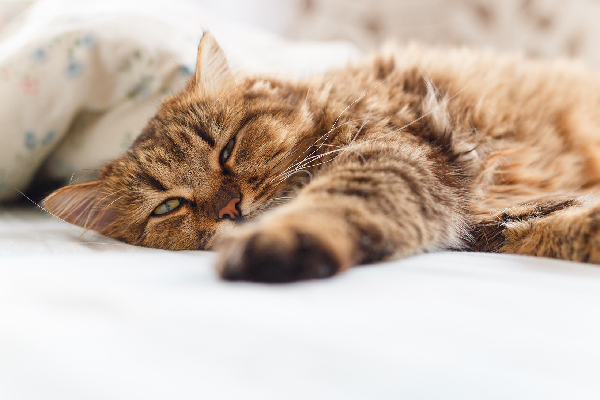 If you notice any of the following symptoms, it’s possible that your cat may have ear mites. A trip to the vet will be necessary to confirm the diagnosis. If untreated, ears mites on cats can become severe and lead to partial or complete hearing loss for your cat. Ear mites on cats are also terribly uncomfortable for your kitty. 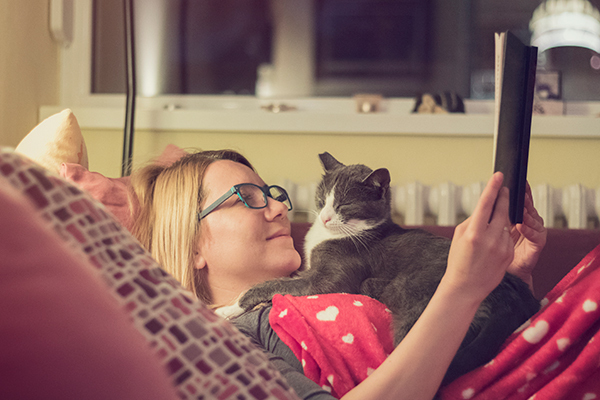 The sooner you can get this situation treated, the happier and healthier your cat will be. What does a cat ear mite infection look like? Ear mites on cats are not just found in the ears. Mites on cats can travel all over the cat’s body. Ear mites think other species are tasty too, and they are very contagious. Without treatment, ear mites on cats can spread to the family dog, rabbit or hamsters. All family pets have to be treated if mites are found on just one animal. That’s just one more reason why a trip to your local veterinarian or pet health care clinic should be scheduled if you suspect ear mites. Parasites are just one cause of cat otitis (inflammation of the ear). Other causes include allergies, endocrine diseases and tumors. Only a trip to the vet will provide you with a proper diagnosis. First, you must treat the ears. Clean your cat’s ears, then apply ear mite drops to the ear canal for seven days. Ear mite medications are safe and can even be applied to kittens. Your vet will probably begin the treatment after diagnosis and then have you continue applying the drops from home over the next week. Because mites can be located outside the ear area, the entire body of the cat should also be treated. The cat must be bathed with a pyrethrin (anti-parasite) shampoo. These products are available everywhere — pet stores, supermarkets or from your animal health care provider. Can you prevent ear mites on cats? 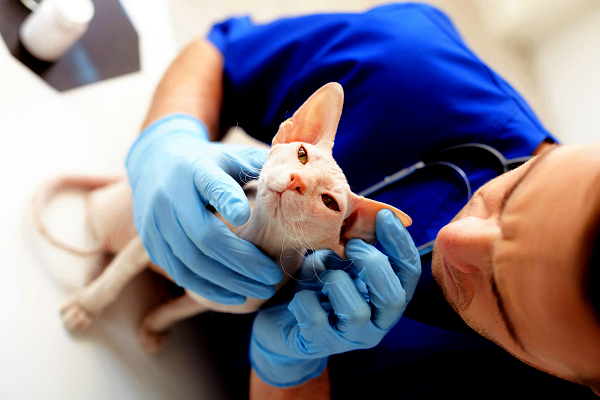 One of the most effective treatments for ear mites on cats is prevention. A monthly topical dose of Revolution (applied to the skin) prevents an ear mite infestation from ever happening. In addition, Revolution protects against fleas, hookworm, roundworm, and the extremely serious and deadly heartworm. The only infestation is does not prevent is “ringworm,” which is a fungus and not actually a worm. There are other medications to treat this syndrome in cats. Another product that protects against ear mites is Advantage Multi. It is also applied on a monthly basis, directly to your pet’s skin. Ear mites are extremely tiny and not always visible to the naked eye, so a vet will have to examine your cat’s ears with a special instrument known as an otoscope to confirm their presence. A secondary infection can result if the ear mite infestation is not treated. The sooner you bring your cat to the vet, the better. Your family pet health provider will check the cat’s ears and may examine the discharge from the ears under a microscope. Other animals can catch ear mites from a cat, but humans cannot. The ear mite life cycle from eggs to adult takes about 21 days. 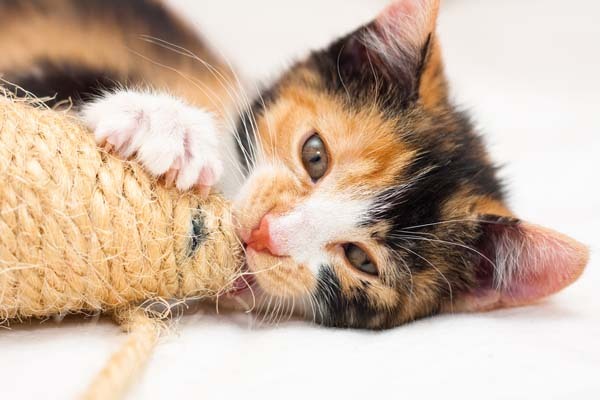 From the time your cat becomes infected to the time the ear mites reach maturity, your kitty might be infested with hundreds or thousands of mites. A quick visit to the vet and prompt treatment is the best solution. 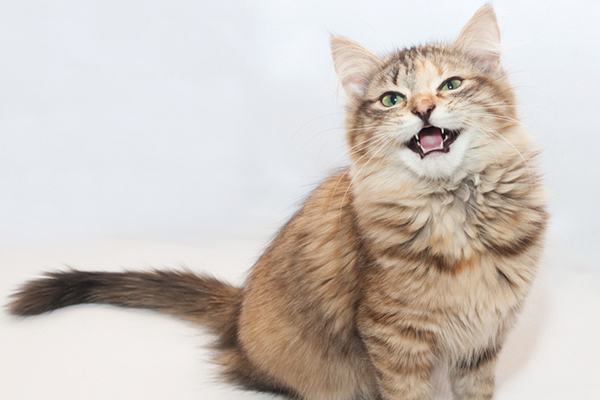 Tell us: Have you ever battled ear mites on cats? Thumbnail: Photography by Olena Yakobchuk / Shutterstock. Hi, once the cats are being treated for eat mites, does the house, toys, cat beds etc need to be disinfected too? If so, how? Hi, Our Siamese cat suddenly died after deworming due to ear mites. The Vet said that it was okay to bring back home our cat after deworming. After a few minutes, Toby (name of the cat) was continuously vomiting then when we brought him back to vet they’ve injected oxytetracycline and tolfine due to his fever according to the vet, then after few minutes again toby was suffering a seizure and vomit blood. What do you think happened? I have an 8 year old long haired domestic boy cat. It seems to have your mites is there anything I can do at home to take care of it before I take him to the vet. As many of you know he’s very special to me it may be so rude to say but he’s like having a child and I must do what’s best for him thank you very much for your time. 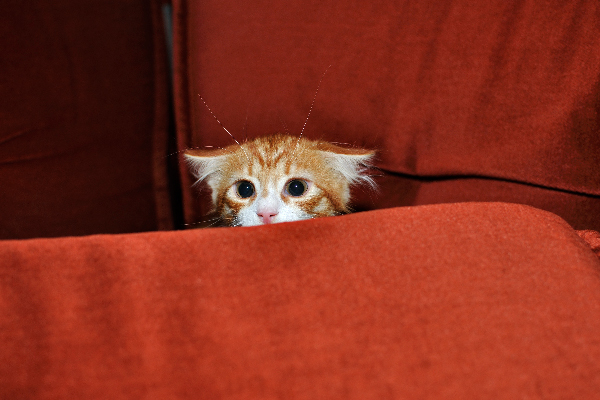 Do you need to wash bedding (blankets, pillows, sheets, comforters) when your cat was diagnosed with ear mites? Thanks for reaching out! It’s important to keep your cat’s environment clean. Wash bedding, carpets, etc. The sign my kittens had ear mites was thick black wax build-up with a coffee ground appearance. I treated it with otc ear mite insecticide for cats. As we state here: Other animals can catch ear mites from a cat, but humans cannot.